I have a meeting with my client whose book I am ghost writing this evening as I requested ‘personal experience’ pieces from her on several topics within the book. These I will include thus ensuring it is her voice. My book cover proof is still pending for The Rython Kingdom so I have to be patient – although having the new cover available for my readers is paramount. So excited for it to go ‘live’ on the various websites. Through a facebook page I found a submissions requirement where I can send my steampunk story – The Toymaker. Fingers crossed it gets accepted, it’s only 7790 words. I am thoroughly enjoying this book – The Faraday Girls by Monica McInerney – sister’s growing up, finding themselves, drama, love, rejection and a mystery. Set in Tasmania and Ireland it becomes international as each sister flies the coop in search of her path. If you could return to the road not taken…would you? Quinn also has an ominous secret: she knows that another version of her life exists…one in which she made totally different life choices. But she’s never been tempted to switch lives-until a shocking turn of events pushes her to cross over, and she discovers the one person she thought she’d lost forever: Her mother. Doesn’t it sound fascinating? Of course as I love reincarnation, spirits, afterlife and parallel universes it is just up my street, so to speak. If you have a recommendation for this kind of story, please let me know. Stop procrastinating. Turn off the TV, disconnect from the Internet, tune out the rest of the world, sit down, and write. 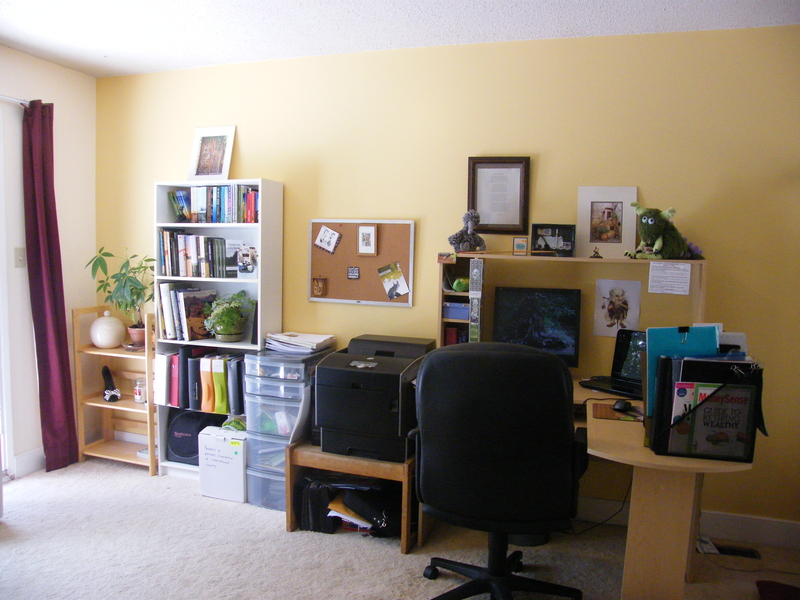 Create a space in your home especially for writing. 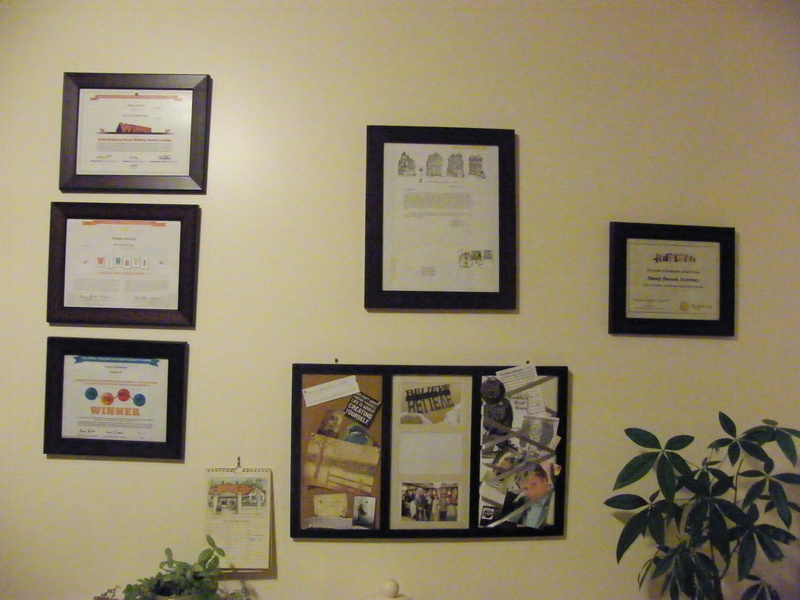 The opposite wall is my inspirational wall. A Writers Conundrum – Finding Time to Write..
To have inspiration for our writing we must observe life, to avoid our family and friends abandoning us we need to engage with them, to pay the bills we must usually work a day job, to maintain our word count or deadline we must organize writing time. So the question is, how can we juggle all of these demands on our time with failing at each one? Finding the ‘perfect’ balance between these is always a challenge. You may be in the depths of a scene when a small hand lands on your lap, a teenager ‘must’ be taken to a friends house, your husband needs help with a project or dare I say it your boss needs something from you? We inevitably crumble and leave the narrative in the hope you will remember the details later? We may scramble to jot down that idea, phrase or even paragraph before being torn away. I have looked to other writers, famous or not, and tried to delve beyond the obvious and gleam an insight into their methods of finding time. There are numerous hints and tips populating the internet but in the end you know your life and its limitations best. You may get up extra early, stay awake until the breaking dawn or cram a few paragraphs into your lunch hour – whatever works for you and your writing – is the right way to go. The trick is how to organize your time productively. I have to admit my writing is not scheduled. I take advantage of any time I’m left alone and once absorbed find it difficult to let go. Weekend mornings are good for me as I get up early and have several hours while my daughter is still sleeping and my husband is playing about in the garage! Other times I can use are the evenings when I arrive early for writing group meetings and write until the allotted time. Other ‘escape’ opportunities do arise and I always take advantage of them: a cancelled appointment, the house to myself or the glory of a writing retreat! Obviously, I dream of the day I can shut myself away with my laptop and not have to answer to anyone…it will happen I just need to be patient. With my freelance work increasingly demanding more of my time, I have to split my writing with that of clients. Maybe I am wrong but I tend to complete a client’s work prior to my own. Having a deadline for a paying job and completing it is, to my mind, more important and vital: a) for repeated work b) for remuneration. That is not to say I believe my own writing is secondary, far from it. Within my writing group, Writers Foundation of Strathcona County, I am fortunate to have other writers who engage in an annual novel workshop. At the beginning of the year, when several of us have participated in NaNoWriMo and others are ready to share their first draft, we meet every month until June (sometimes longer). We section our novels and email them to each other, then edit and comment on the narrative. Then at month’s end email our editing and meet to discuss the stories. It is beta reading within a ‘safe’ environment if you will. This mutual assistance enables me to edit my current manuscript with the views of several other authors and a ‘faster’ editing process too. 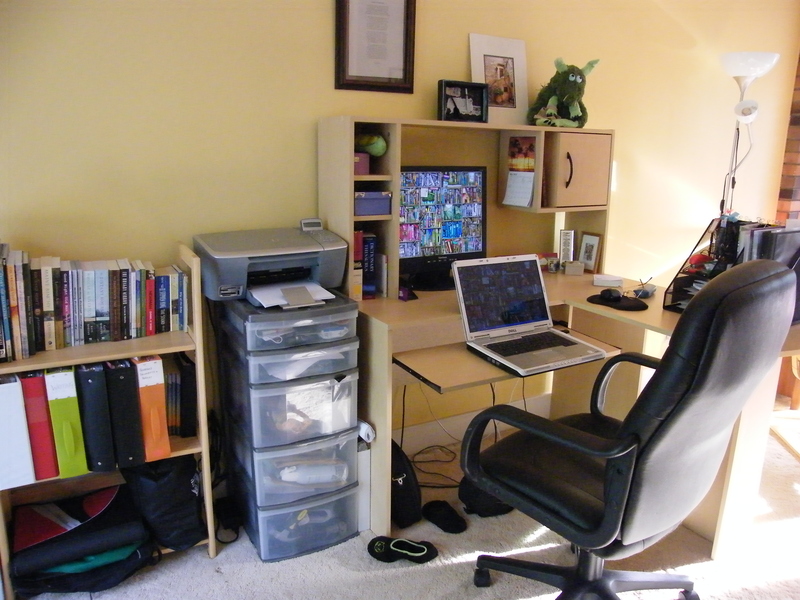 My writing area expands a little each year! Where do you write?